Click here for instructions on how to update your payment information and preferences. Once logged in, click Make a payment. Select the Account tab and choose Make a Payment. The resulting window will display the current account balance. The fields will be automatically populated with the last payment information used and the payment amount will be set to the current amount due. Verify that all fields are correct. 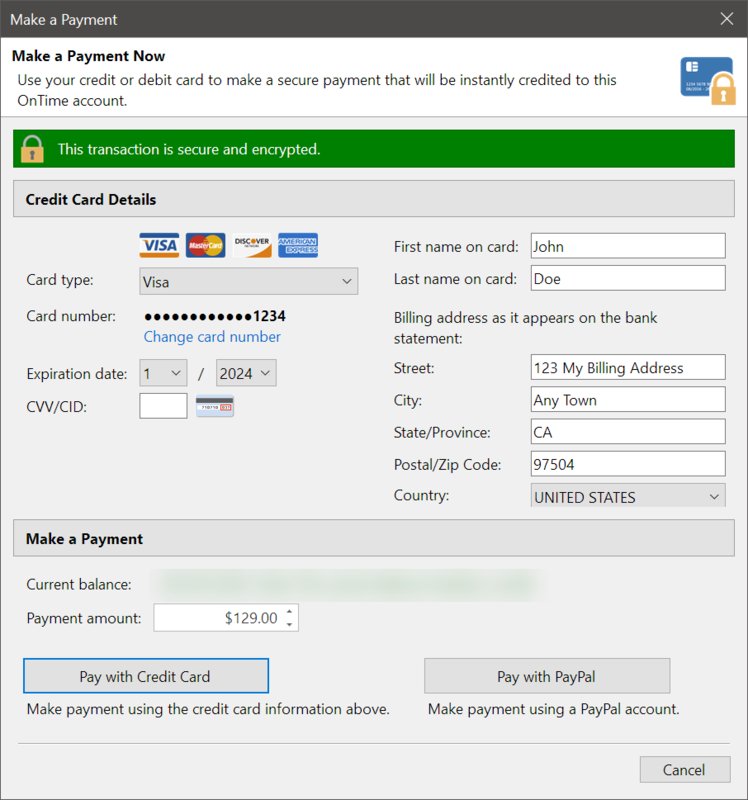 When you are ready to submit your payment, select Pay with Credit Card or Pay with PayPal. If payment is not made by the due date, access to the account may be suspended. If this happens, a reconnection fee may be applied to the balance due. This fee may also apply if your bank rejects the payment information used for automatic recurring payments.